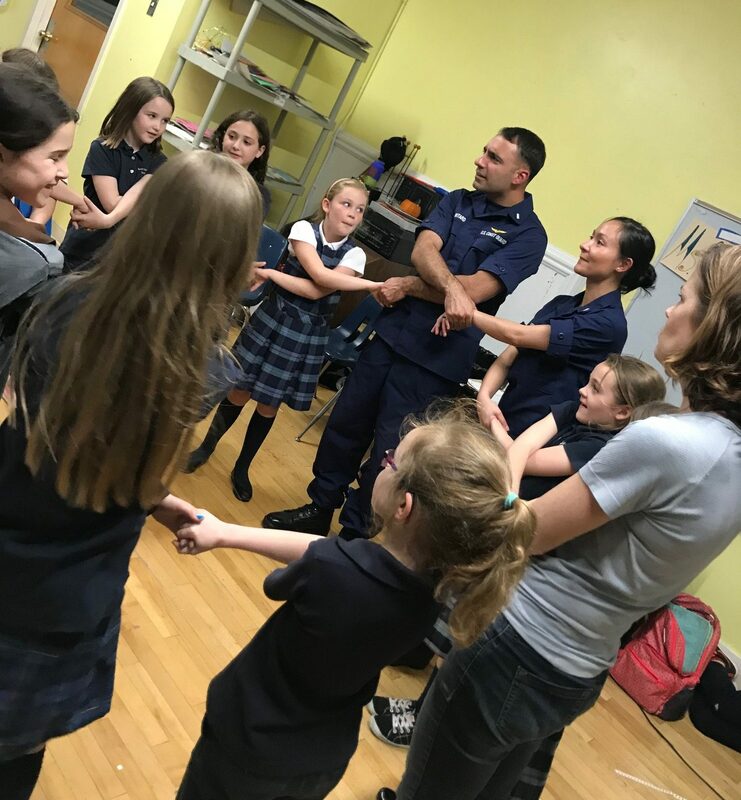 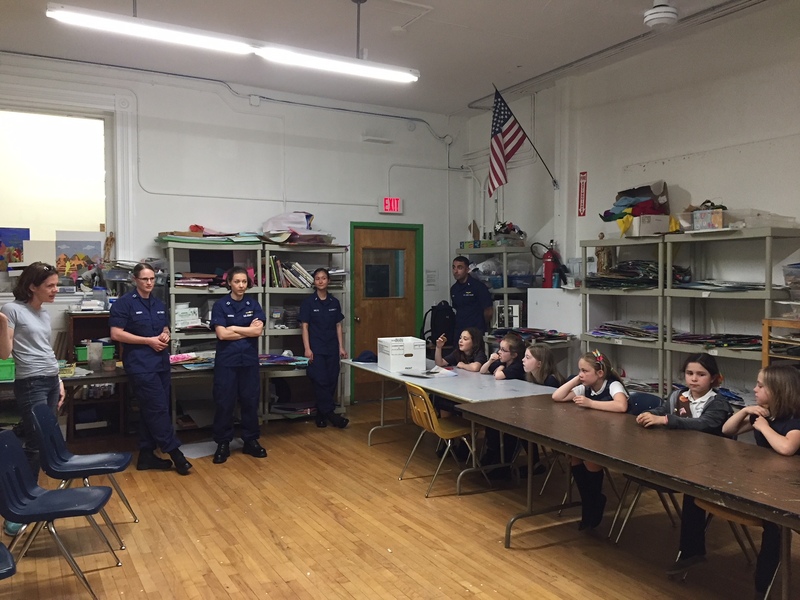 St. John School’s Girl Scout Troop had a special educational visit from four members of the North End Coast Guard base. 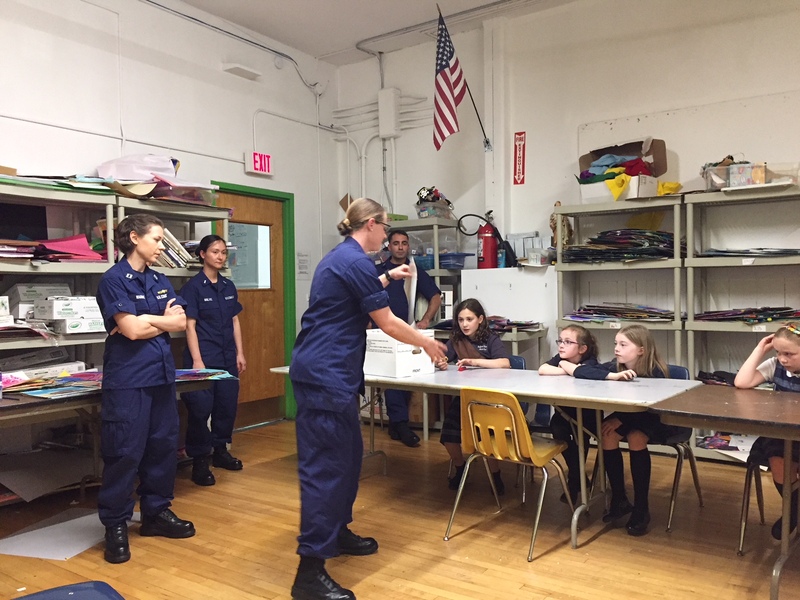 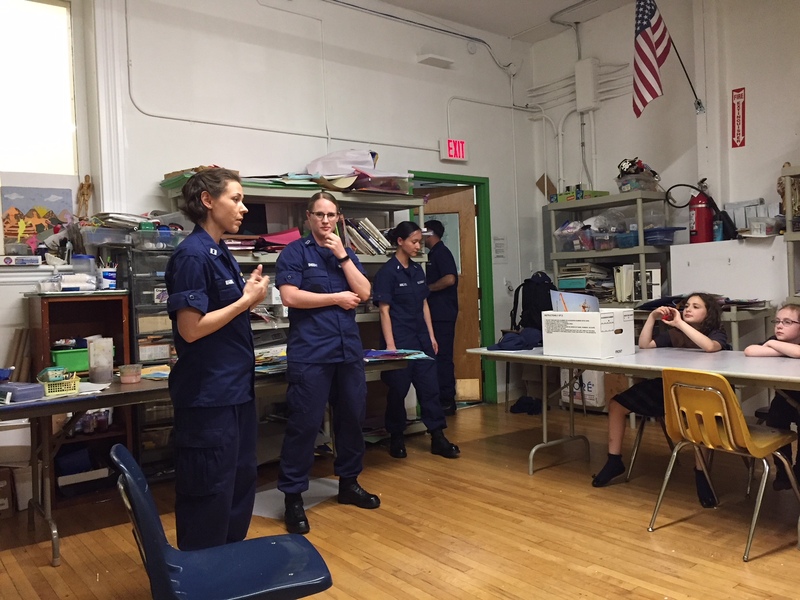 The Coast Guard members spoke with the girls about everyday life working on vessels, taking care of the harbor, oceans, ocean life and how they are in charge of making sure all of the Boston Duck Boats are safe for everyone to take a tour. 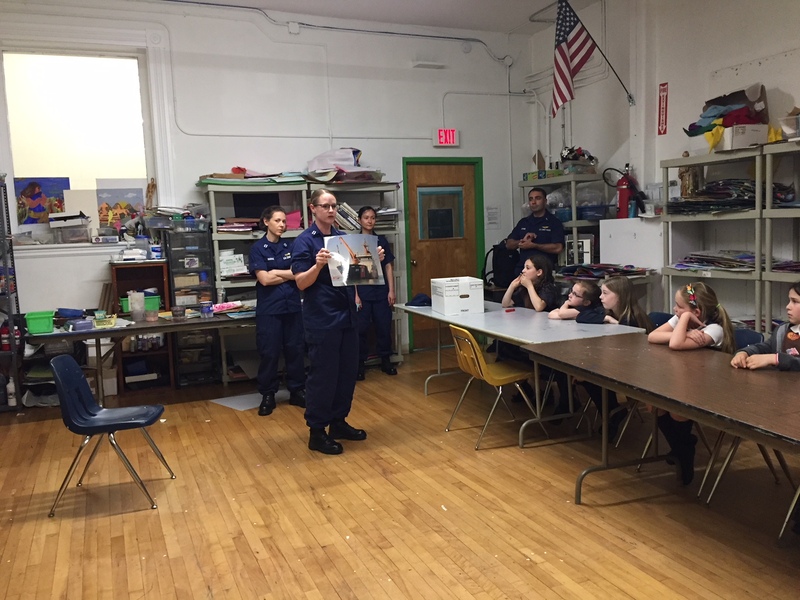 The girls also learned about water safety and how important it is to wear a life jacket. 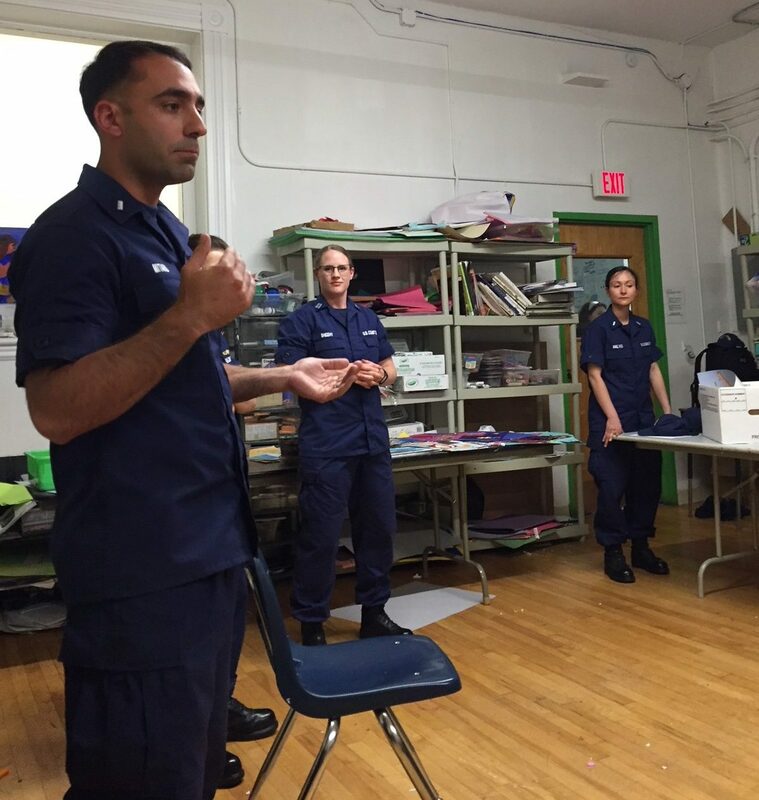 The Coast Guard members recommended joining the Coast Guard if you want to travel and see new places! 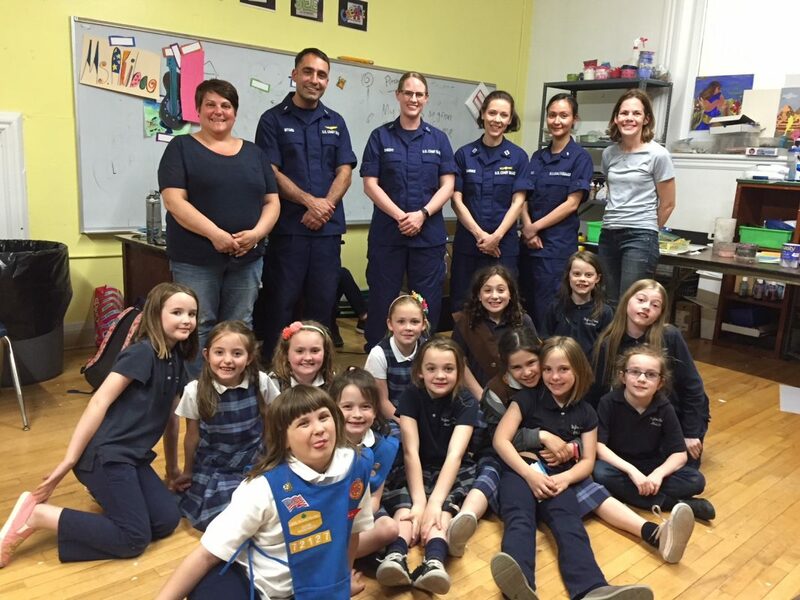 Thank you to the Coast Guard members for taking the time to speak with our St. John School Girl Scout Troop!